The Same Down Home, Just a New Look! At Last, Your Search is Over! 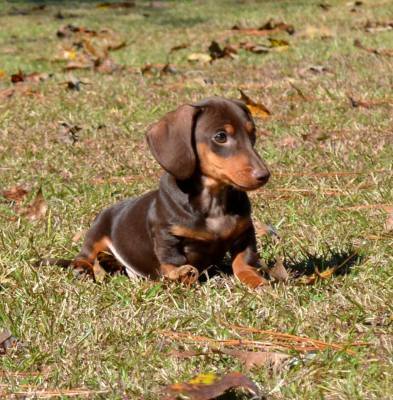 If you have been searching for a new Dachshund puppy, then welcome home! If you are looking for a good quality miniature, tweeny or standard Dachshund puppy with a wonderful, loving disposition, then your search is over! 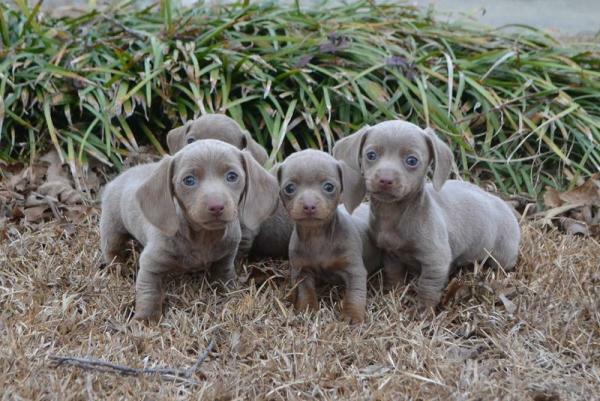 Here at Down Home Dachshunds we specialize in well socialed, happy, healthy Dachshund puppies in all coats and colors. We take pride in making sure every Dachshund puppy is is given all the love and care they deserve. Our Kennel is AKC and USDA inspected! We love our Down Home Family! We welcome you to join our family. We love to keep in touch, watch our babies grow and see how they are doing. If you are not in the Mississippi area, we do offer airline shipping of your puppy to their fur ever home. 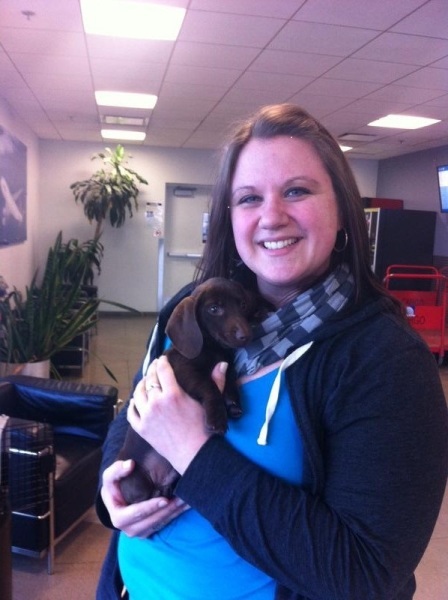 We only fly with Airlines that are pet friendly, and the puppies fly like us, heated or cooled and pressurized. 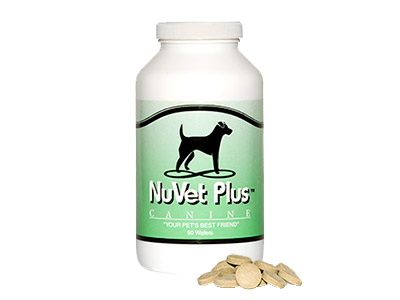 All of our babies come with a free sample of NuVet Vitamins. You will want to go ahead and place an order today so you won't run out when your puppy arrives. When placing your order ask for NuVet Plus and be sure to give them our reference number below! All orders will be shipped straight to you! Testimonials from Our Down Home Family! I just wanted to let you know that I love your website! I view your webpage at least once a week, to see the updates and all the new litters.It is just so sweet.It makes me smile! I talked to my vet about recommendations, and he gave your name. Apparently, another patient had bought from you and had high remarks! Thank you so much for such a beautiful and loving puppy! He has made a great addition to our family. I now know where to go to find the perfect dachshund puppy! Hi Annette, Sassy is the smartest and most active puppy we've ever had. Everything is a game and she is so funny. We could never have found a more perfect puppy, even if we had looked nationwide. We're positive it was the Lord's will that led us to your website that night and can never thank you enough! We have had so many compliments about her and several people have told us that she is the prettiest Dachshund they had ever seen. She is even prettier in person than the pictures show. Again , Belinda and I can't thank you enough! We were very impressed with the visits to your home. We immediately knew these babies were loved! Our Molly is a precious addition to our family. People always comment on her uniqueness. We love her playfulness and how she is so outgoing and very well socialized! Thank You Again for "Our Molly"
My husband surprised me with our newest addition, Tank, from Down Home Dachshunds just a few weeks ago. He is THE sweetest dog I have ever owned. We can tell he was loved on and played with. He loves hugs, kisses, fetch and hates being alone. These fur babies are in the best hands one could ask for. We sure love our Tank and so glad we found you! We bought our sweet Cocoa from down home Daschund and he is the sweetest boy ever. He keeps us all laughing with his antics. He was a well socialized pup and he has made a fine pet. Awesome experience—best puppy I’ve ever had. I had him flown to Denver and all went off without a hitch, exactly as Annette said it would. I would definitely get another puppy from this breeder. Annette is so nice to work with and I am absolutely in love with my long haired dachshund puppy. She is fitting right in with our family. We picked up our baby on December 6th. She is so sweet��� She’s healthy and happy and she makes us laugh everyday!!! Can’t imagine life without her. We have had Harper for 2 months now. She loves everyone that she comes in contact with. She is a joy to be around. Love her so much! Drove today from Hernando, MS to get our sweet new baby girl, who we have named Violet. Annette and Walter were absolutely fabulous! They were very welcoming and made us feel right at home. All of the puppies were well taken care of and absolutely adorable! We would highly recommend Annette to anyone wanting a dachshund! We love our sweet little fur baby from Down Home Dachshunds. These guys are the real deal! The puppies are in amazing condition and obviously well loved and cared for before they go to their forever homes. Ms. Annette is ready to share her wealth of knowledge and does all she can to make the transition easy for the puppy and the adopting family. We could not be happier with our Little Gracie Sue from Down Home Dachshunds! Everyone in our complex knows Gracie and don't stop commenting on our adorable and well behaved she is! The breeder, Annette, has been absolutely AMAZING. She always answers our calls and texts to answer our questions or concerns. This has been the best experience and we encourage everyone to check out Down Home Dachshunds! Down Home Dachshunds is excited to announce that we will now offer retail products for sale! Our retail trade name is DACHS by Down Home! My passion for Dachshunds allows me to offer products that any Dachshund lover will enjoy. Our product line features items available for our fur babies as well as our Dachshund lovers. We will start out slowly with limited inventories, and eventually moving on to having enough for everyone. Some items will be crafted by myself as time allows. I like to decorate or make things for my fur babies, so I hope you enjoy them as much as I do. Please continue to visit our Products for Sale Page for additional information and pricing. Fleece Blankets are $20, Disney are $22! These fleece blankets are perfect to bring home with your new baby. I will have the siblings of your puppy, play and lay on the blanket. When you bring your new puppy home, their blanket will have the scent of their siblings on it. The scent of the other puppies will bring comfort to your puppy in their new surroundings.